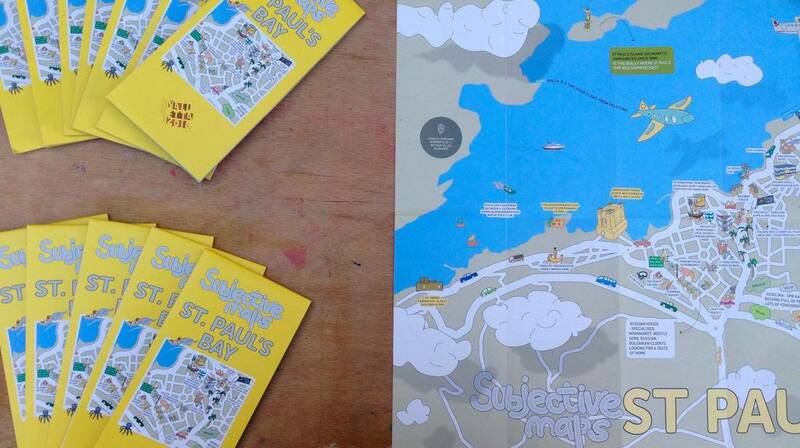 Subjective Maps to be distributed to the public over the coming days. A series of Subjective Maps has been created as part of a Valletta 2018 project and will be distributed to the public over the coming days. The maps are a result of workshops that have been taking place in six localities over the past 18 months and which have now been concluded. Titled Subjective Maps, the project invited people of various nationalities and ethnicities living in Valletta, St Paul’s Bay and the surrounding area, Ħamrun, Birżebbuġa, Gżira and Victoria, to share stories about their relationship with their locality through drawings of personal maps. These story maps include features familiar to each place as well as the dreams and wishes of the participants for their respective localities. Wishes vary from more greenery, cleaner air and less traffic, more pedestrian zones and more awareness about air and noise pollution, to a cemetery so that they can be buried in the town they were raised in and love. Through the workshops, people came together to discuss knowledge, supposition, memory and fears and eventually produced maps that can be used by others to visit and navigate the town. These maps allow others to view each locality from the participants’ eyes becoming an experience of the participants’ lives and stories. Every corner is filled with memories and wishes and every fork in the road becomes a point of convergence between residents and foreigners. Subjective Maps has attracted community members from various ethnic backgrounds, some of which have been born and raised in their locality, while others have only been living there for a few months. The maps currently being presented to the general public reflect perspectives which are as varied as the participants’ ethnicities. In the same map, people can discover stories from Maltese, Thai, Austrian and Egyptian participants, who have all spoken about the area they share together every day, including the same shops they use and the same bus stops where they wait for the bus to go to work. The participants’ daily routes, dreams and relationships meet on these maps. For more information about the project visit the Valletta 2018 website or visit the Subjective Maps Facebook page.